Event Registration Management. Simple. Powerful. Reliable. "From starting an event to inviting, managing, tracking and selling event ticket, there is Eventleaf." It' is a one platform and provides every events solution one of it's feature is to design beautiful event pages that I like very much. I can send invitation, get conformation, sell ticket for my event. I can get paid, I can print batches there is absolutely every solution here. I can get invitation from other event and I can explore more of the events. It's organization page editor has less feature for editing. Rest feature are all good but to get these feature price seems high for little organization rest it is nice. I haven't found much to dislike about it. I would like to recommend EventLeaf to the organization who create event in regular basis. By using this software they can manage the events very easily and also promotion of event is quite simple. EventLeaf is solving my event handling problem for creating an even to ending it. From managing my event to giving me new opportunity to explore other event too. Handling event manually earlier was a mess but not now. Eventleaf is a breath of fresh air when it comes to ease of use. Today's online world is overcrowded with tools that we have to learn all the time. Eventleaf is very intuitive and straightforward. From the first moment I used the platform, it was very obvious that a lot of thought and care has been put in choosing the features, designing them and delivering them to the end user. For me, it does the job that I need to do now with a lot of headroom for growth. It can handle online workshops I want to organize and it can limit access to paid participants only. Later, when I am ready to grow my business, I can take advantage of the other amazing features such as organizing conferences and bigger workshops. so far had no problems or issues with it. Yes I would definitely recommend it to others. At the moment, we are using it mainly for online workshops. "Defiantly going to be using Eventleaf in the future!" I recently used Eventleaf for an event at my school and it was extremely helpful! I have used other types of program to make events, so this was my first time using Eventleaf. And I have to say, it made the whole process of making the event laidback and trouble-free. Since I was able to design my page, I could make it look like a professional did it. The page included my guest speaker, a summary of the event and some pictures. The people that ending up attending really like the confirmation email because since I could customize the message and give them specifics on where free parking was located. Lastly, I was able to collect data for the event by easily checking in people who actually came to the event. I am defiantly going to be using Eventleaf in the future. There was nothing that I could pick out that I had a problem with. I was trying to make a large event and Eventleaf helped me do this. "Event planning has reached a completely new horizon!" Software packages are nowadays pretty complex to use and many people get stuck by trying to solve the mystery behind the program. That certainly shouldn't apply to event planning programs, as such software needs to be reliable, excellent and easy to use. What's the point of experiencing complexity when we need to sort out our everyday difficulties? With Eventleaf, it is possible to organize your events and give a whole new level to a term "schedule". I simply adore the simplicity with which the developers have constructed Eventleaf, as it really has to represent a great organizers which makes life a bit easier. Especially for the business people who are in constant need of organizing themselves with a software such as Eventleaf. With Eventleaf, you will be able to plan a meeting with an important business client in the matter of seconds. Creating an online customized event is an easy task to perform and sending a confirmation e-mail to all the attendees has never been easier. Eventleaf does a reliable task in matter of seconds, organizing all your important events from the very beginning to the very end. There is nothing to dislike about Eventleaf really. I would recommend such program to everyone who wishes to organize their events and present new ways of meetings to their clients. As my review says, Eventleaf is completely phenomenal to use. I fully recommend it! You simply need less time to organize important events as Eventleaf allows you to perform it in few simple steps. It cuts the time needed for manual organization, which really keeps off the boring task from other people. You don't need to download multiple programs because Eventleaf contains all that you need under one umbrella of perfection. It is reliable when it comes to event planning, it is easy to use and completely reliable. I have even recommended this program to my friends who are in desperate need for better organization in event planning. I believe that they will also find Eventleaf quite beneficial. I love how easy it is to manage events with Eventleaf and also promote it. Worked really great for my business. I will definitely like more flexibility in terms of branding and graphic designs. I was faced with organizing company event and had little to no clue in terms of event management. So like every other facing this challenge, I went online and found about Eventleaf. I did used it for this particular business event and really helped me get a quick grip over everything surrounding the specifics. I was not only be able to track the guests, but also manage important tasks surrounding additional aspects of the event. My overall experience is really positive and I do highly recommend Eventleaf to everyone faced with organizing any kind of business even without previous experience - worked really well for me! "Excellent Online Registration and Event Management Software"
Eventleaf Online is an excellent event management platform that gives you exactly what you need when it comes to organizing an event of any size. The software is flexible and has customizable features which is a must for branding an event for our clients. We have not discovered any dislikes when using Eventleaf Online. 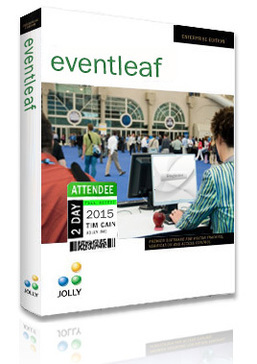 Eventleaf software is an ideal solution for SMB and Not-for-profit organizations. I love how I can use Eventleaf for all aspects of planning an event. Previously, I needed to use 2 or 3 separate platforms which was so inefficient and meant I was always scrambling to find the information I needed. Thanks to this, and Eventleaf’s fantastic user interface, my events go off without a hitch. Stress-free event planning is possible with Eventleaf! The only downside is that I need to use a Windows based computer if I want to download the app to run offline. Before I started using Eventleaf, I needed to use 2-3 different, disconnected platforms for each event between payments, badges, confirmation emails, etc. Switching to Eventleaf was worth it for the time I save alone! "No more problems to organize my events!" Every time I was organizing my company's events there was a problem when we needed to decide how to charge our public. I Took to many time to find an online tool that could assist me in my whole issues on this subject. I'm very satisfied using it. Well, i miss the option for other languages, like portuguese. Now i don't have to worry about how to sell the tickets on my company events. This is a pretty need piece of software. I was positively surprised how easy it is to handle and how fast you can see your results. Even the map feature works for addresses inside China Mainland, where there are mostly a lot of problems with the accuracy of the map. I tested all features and couldn't find anything where I find anything negative. "Easy interface, hard for customers"
I enjoyed the interface on the employee side. I did not like the complaints received from users. This is geared for the employee user and not the customer user. "great for selling private events"
"Easy to Manage my events"
* We monitor all Eventleaf Online reviews to prevent fraudulent reviews and keep review quality high. We do not post reviews by company employees or direct competitors. Validated reviews require the user to submit a screenshot of the product containing their user ID, in order to verify a user is an actual user of the product. Hi there! Are you looking to implement a solution like Eventleaf Online?